Looking for a knife that is light weight but not to small? 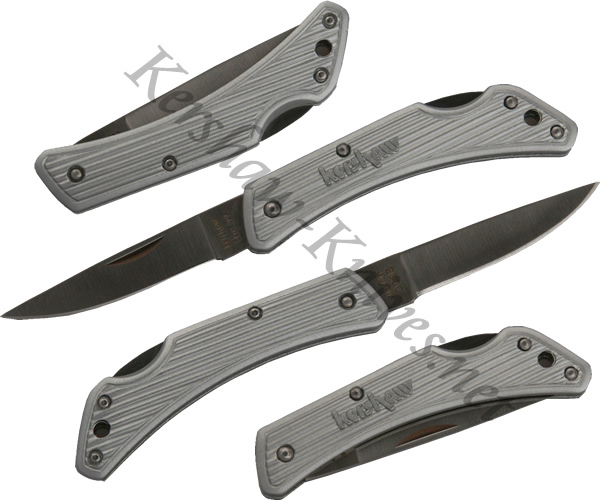 Try out the Kershaw Silver Spur knife. This Kershaw 2800 model is over 4 inches long when open, yet it weighs only 0.6 ounces. The aluminum handle helps lighten the knife, but no quality is sacrificed on the blade thanks to its AUS6A stainless steel construction. Made in Japan.